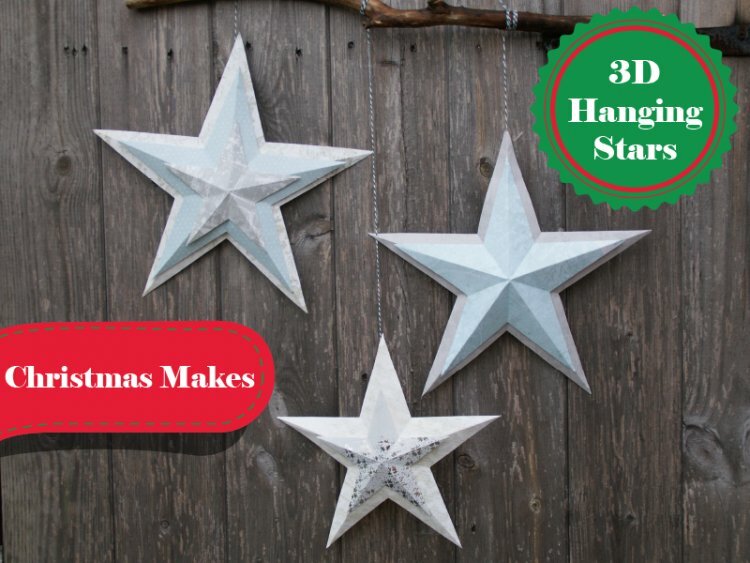 These stars are addictive to make, once you start you won’t be able to stop, they look great on garlands, hanging or freestanding. 1. 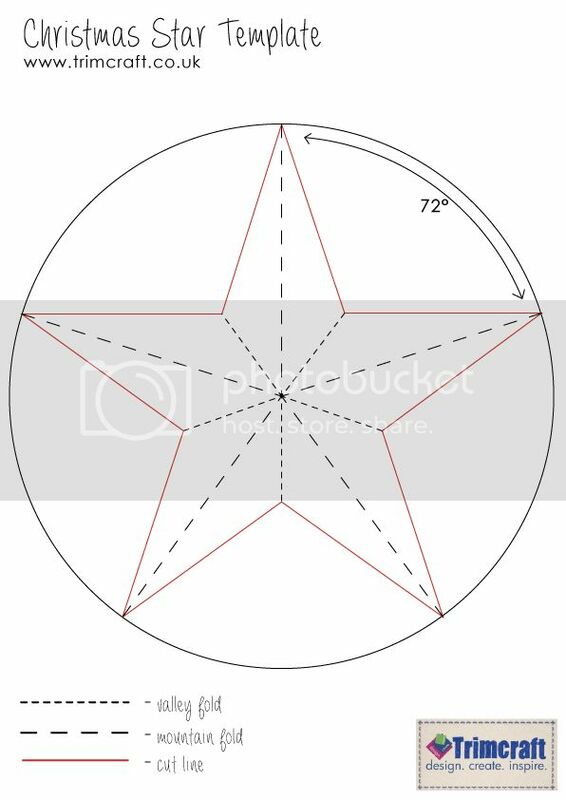 Download the template for the Star, you can cut this out and use it to make a star but It’s easy to make different sizes stars too. 2. Draw a circle on a piece of paper, find the middle of the circle and draw a straight line to the edge, draw a line from the centre to the edge, every 72 degrees, you should end up with 5 lines. 3. Join the lines up so they make a star, you do this by starting at the top point and drawing a straight line to the 3rd point, then the 2nd to the 4th, 3rd to the 5th point and so on. 4. Use the template to score the star in the correct places, you can use a bone folder for this or very gently score with a craft knife being careful not to cut through. We used an old branch to create a festive hanging decoration with our stars; there are so many ways to use them. Leave us a message below and tell us what you will be making, and then upload your project to our inspiration area.